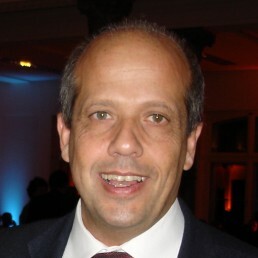 Stefano Aliberti is Associate Professor in Respiratory Medicine at the University of Milan and Respiratory Consultant at the Policlinico University Hospital, Milan, Italy. He received his medical degree from the University of Milan and completed his clinical research training at the University of Louisville, KY, USA, working as member of the Community-Acquired Pneumonia Organization Database. Most of his research over the past fifteen years has been focused on both acute and chronic respiratory infections, and particularly on community-acquired pneumonia, bronchiectasis and non-tuberculous mycobacteria (NTM). He is former Head of the Respiratory Infections Assembly of the European Respiratory Society, chair of the European Registry of Bronchiectasis (EMBARC), the Italian Registry of Bronchiectasis (IRIDE) and the Italian Registry of pulmonary NTM (IRENE). Francesco Blasi, MD, FERS is Professor of Respiratory Medicine in the Department of Pathophysiology and Transplantation at the University of Milan, Italy, as well as Head of Internal Medicine Department and Respiratory Unit of the Fondazione IRCCS Ca’ Granda Ospedale Maggiore Policlinico, Milan, Italy. He is also director of the Adult Cystic Fibrosis Center of the Lombardia Regional Referral CF Center and currently a member of the Board of Directors of the University of Milan. 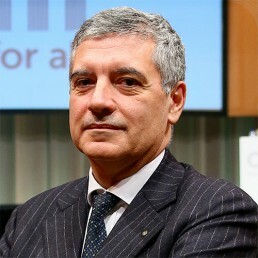 From 2012–2013, he was president of European Respiratory Society (ERS) and from 2016–2017 president of the Italian Respiratory Society (SIP/IRS). From 2017–2018, he was president of the Italian Respiratory Society Research Center (SIP/IRS Centro Ricerche). 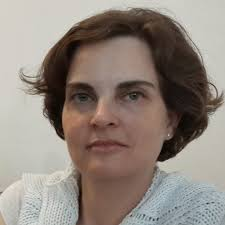 Professor Blasi has published more than 350 papers in international journals (January 2019: h-index: 67, Citations: 18,268). His research interests include pneumonia, COPD, bronchiectasis, tuberculosis and NTM infections, cystic fibrosis and lung transplantation. 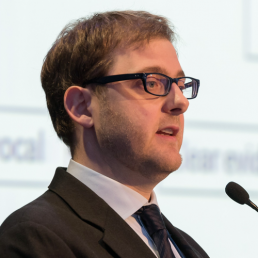 Stuart Elborn, M.D., FRCP, is clinical professor of respiratory medicine, and centre director for specialist adult cystic fibrosis Royal Brompton Hospital in London. 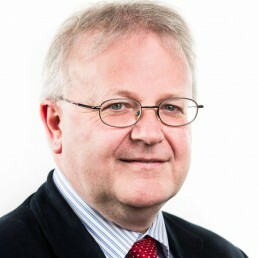 Prof. Elborn has been Professor of Respiratory Medicine at Queens’ University Hospital in Belfast and Dean of the School of Medicine, Dentistry and Biomedical Sciences at Queens University, Belfast till 2016. He has been Non-Executive Director at Belfast Health & Social Care Trust since April 1, 2016. He has been President of the European Cystic Fibrosis Society from 2008 to 2015. He is Principal Investigator for the European arm of the VX-770 pivotal study. He is focused on understanding Pathophysiology of infection and inflammation and the translation of new therapies into clinical practice. He has been successful in developing programs of research across disciplines, hospitals and universities, as well as bringing scientists and clinicians together to promote inter-disciplinary research. He served as Chairman of Research and Medical Advisory Committees of the CF Trust in the UK. Prof. Paolo Palange is Director of Pulmonary Function Unit (2001- today) and Director Division of Internal Medicine and Respiratory Medicine (2010-today) at Policlinico Umberto I – La Sapienza University of Rome. His main research fields are Cystic Fibrosis, COPD, Asthma, Lung Function Testing, Cardiopulmonary exercise testing, Exercise induced asthma. He is involved in the European Respiratory Society since ’90 years. He has been chairmen of different ERS Task Forces, Seminar and Projects. He has been director of the ERS Hermes Program from 2011 to 2013. He published more than 130 international articles and scientific works. Since 1995 he has been editor of the following Journals: American Journal Respiratory and Critical Care Medicine, European Respiratory Journal, Thorax, Journal of Applied Physiology, European Journal of Applied Physiology, Chest, Respiration e Respiratory Medicine. Since 2006 he is member of the Editorial Board of the American Journal Respiratory and Critical Care Medicine (IF 11.080); Since October 2012 he is Associate Editor di Respirology (IF 2.43); since January 2013 he is Associate Editor of European Respiratory Journal (IF: 5.89). In 2010 he has been Editor in Chief of the European Respiratory Society (ERS) Respiratory HandBook. 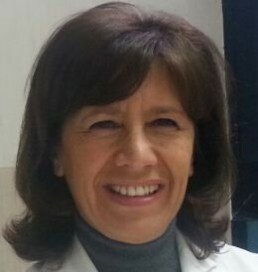 Michal Shteinberg is heading the bronchiectasis and adult CF service in the Pulmonology institute and CF center, Carmel medical center, Haifa, Israel. She is an Assistant Professor in the Facutly of medicine at the Technion, Israel Institute of Technology. Dr. Shteinberg’s main research interests are CF – mainly, female infertility in CF, and treatment of complex CF cases, as well as bronchiectasis and its overlap with asthma and chronic rhinosinusitis. She participates in education of physicians and patients in both interest areas, and in international working groups both in CF and bronchiectasis.